They’ve got new exercises and cardio bursts, new ways to use the band, and of course new songs for Stroller Strides. They also took a TRX Body Back class with lots of new equipment and intense core work. Lesley plans to get certified in TRX next year so she can bring it to our franchise in the future. They also met plenty of other franchisees and instructors, swapping stories and tips and celebrating our awesome Village. Erica said it crystallized in her mind that our Glen Ellyn / Wheaton / Lombard Village is truly the best—our strong support system, love for each other and our kiddos, and encouragement for one another is unlike anything else she heard about. Lastly, some sad news. Though our franchise was nominated for three (3!) awards and made it to the finals for two, we did not win Our Village of the Year or Instructor of the Year at the conference. But, you can bet we’re going to try our best next time! Thanks for all of your support and your votes—it means so much. 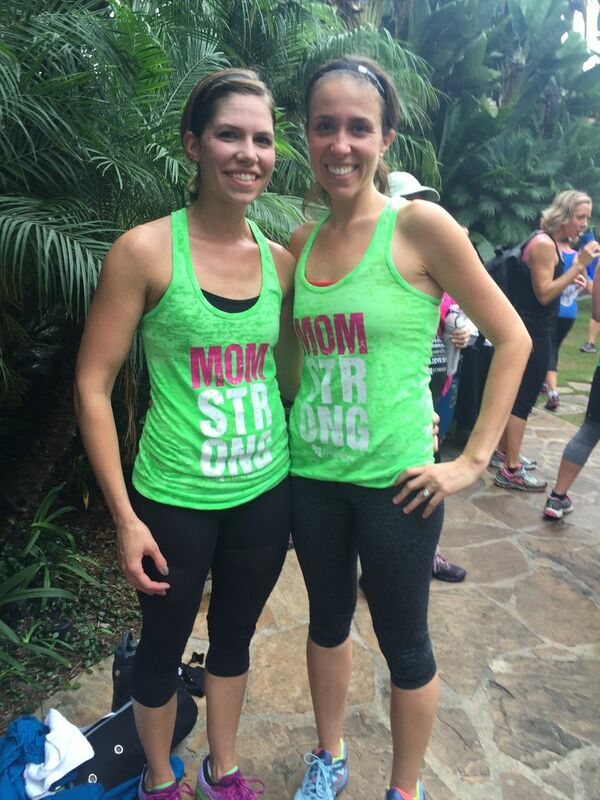 Lesley and Erica both have their “tanks full” of FIT4MOM love, and are excited to finish the year strong and keep it up in 2016! Check out this photo from the event, and thanks to all the members of our Village for making what we do so special and worthwhile every day.